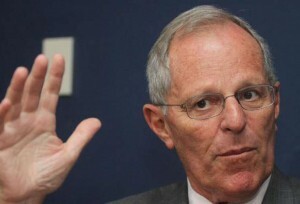 NEW YORK - Peruvian President Pedro Pablo Kuczynski on Friday cautioned against the danger of a massive wave of Venezuelans fleeing their homeland's crisis to other countries in the region. The Bolivarian republic's situation is among 'hot topics' to be addressed during the meeting between Peru's Head of State and U.S. counterpart Donald Trump. The encounter is taking place today at 3:00 PM at the White House in Washington D.C.
"Venezuela does not want interferences, which is natural, but there's a danger of massive emigration to Colombia, Curaçao and other Latin American countries," Mr. Kuczynski told international media following his meeting with UN Secretary-General Antonio Guterres. "There could be serious health problems, so a group of our countries must be ready to help. Not to interfere, but to help," he pointed out. The statesman is known to have proposed the creation of an international group to support the Venezuelan population, currently ravaged by food and medicine shortages. On the other hand, President Trump —in office for a little over a month— has already called on Venezuela to release opposition leader Leopoldo Lopez. Lopez's wife Lilian Tintori was recently welcomed by both the U.S. and Peru’s Presidents. As is known, Venezuela faces the world's highest inflation rate, forecast at 1,660% in 2017 by the IMF. Nine out of every ten Venezuelans regard the country's situation as "bad" and most believe it will get even worse, a poll by Datos firm recently revealed.